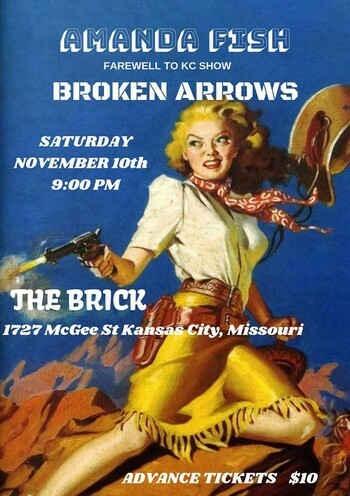 BROKEN ARROWS is a KC based, 5 piece band performing regionally with influence rooted in artists like Big Star, The Beatles, Neil Young, The Long Ryders, The Kinks and the Rolling Stones. The band has been performing together for a year and a half and has appeared at numerous venues in the KC/Lawrence area including Knuckleheads, The Dubliner, CODA, Franks North Star and Jackpot Lounge. BROKEN ARROWS recently released their well received, first CD “Extended Play” and are currently working on new material for their next recording project.